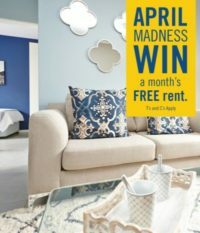 April Madness – FREE one month rent. Sign a rental contract during the month of April and stand the chance to walk away with 1-month FREE rent. Ts and Cs, follow us on Facebook for more info and Ts and Cs.